and get started learning to play piano right now! The video piano lessons are free, and the ebooks are a great bargain! In this introduction to playing piano, you will learn hand position and get started playing on black and white keys without needing to learn to read music. A nice easy introduction to the piano. 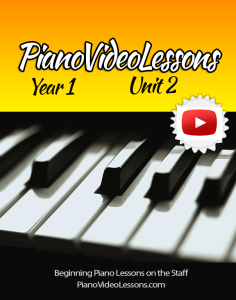 Once you have completed this set of 12 lessons, you’re ready to get rolling with YEAR 1 Comprehensive Beginner Piano Lessons! Download this PDF instantly upon purchase. 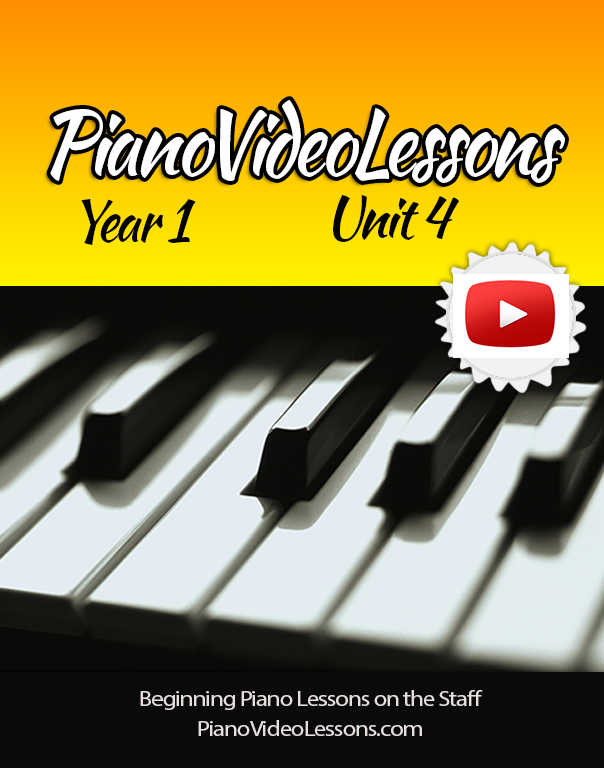 This pdf includes materials that accompany all of the 12 lessons in the Beginner Piano Lessons series presented here. Year 1 is a Comprehensive Beginner Piano Series. It is intended for adults or older beginners with no previous piano training. In this series of units, you will be guided in small increments to learn to play piano while reading music on the grand staff. This course covers reading, theory, ear development and technique while learning music. Currently there are 6 Units available. Download the PDFs instantly upon purchase. 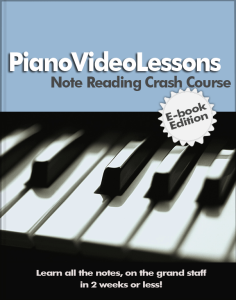 Just the notes, nothing but the notes…well maybe a little more than just the notes, but this course is a quick and easy way to learn to read notes on the the grand staff for piano. Download this PDF instantly upon purchase. This ebook contains all of the lesson materials presented in the free video series, Note Reading Crash Course, found here. Develop your Music Reading Skill – become more accurate and faster! This course is a good way to become faster at reading notes on the grand staff, it also introduces ledger lines in both bass and treble clefs. Buy nowDownload this PDF instantly upon purchase. 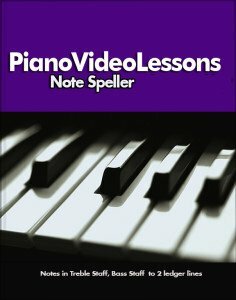 The Note Speller for Piano comes complete with answer key, so you can check your work. It includes the materials used in all 10 lessons of the free video series, found here.